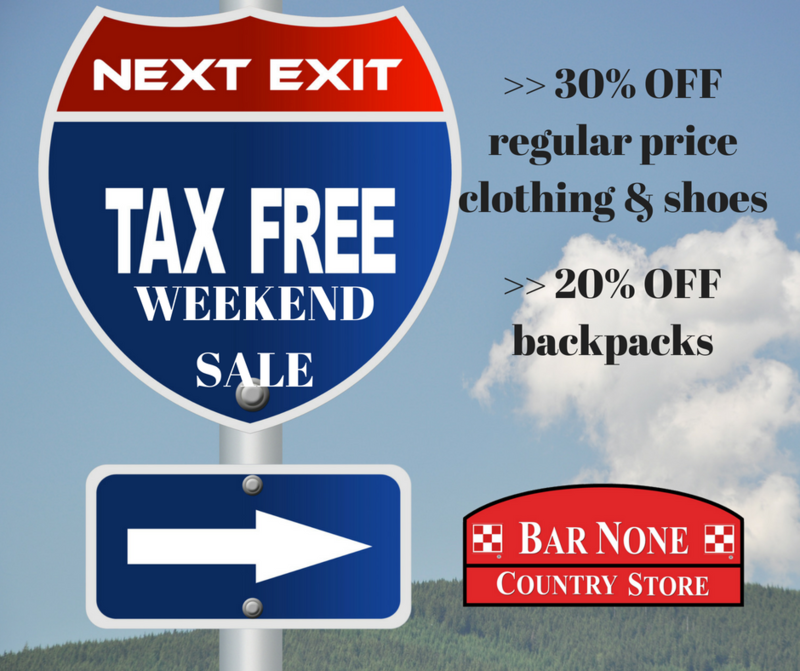 So, in addition to no sales tax (on items under $100), stop in to Bar None Country Store and save! 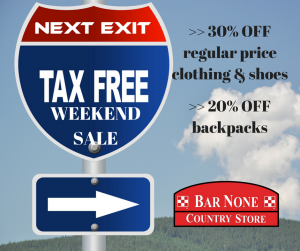 You won’t have to fight for a parking spot, our staff will be friendly, and we’ll help you load your car this Texas Tax Free Weekend. This entry was posted on Wednesday, August 1st, 2018 at 3:13 pm	and is filed under clothing, Events, News & Updates. You can follow any responses to this entry through the RSS 2.0 feed. Both comments and pings are currently closed.